I would choose ADP eTIME anywhere outside of manufacturing and hospital settings. It is very flexible, but would not be my first choice for those settings. 24 hour per day timekeeping and scheduling are handled well in this system. TSheets is definitely suited to a company that has multiple jobs and locations. Also ideal for a company with 10 or more employees. I'm not sure it's worth the effore or money for less than 5 employees. Monitors people who repeatedly punch in and out just before or after cutoff times. Great for setting up ongoing schedules. Easy to understand the system. The support at Tsheets is an area that is handled well! I just chatted with Kelsey T and she was great to work with! She is extremely pleasant and answered my questions quickly and completely! With that kind of support, it's easy to feel comfortable working with TSheets. We like the way it handles PTO as well! Java has been a problem for us. We recently converted to the 'Java free' version and although it works well, I do miss a few of the aspects of the 'Java' version we had previously. Most of the functionality is great, but I did notice one minor detail: like sometimes when I switch customers if the app doesn't immediately sync then I might find that the next time I try to switch customers it is still clocked-in on the first customer and it can be impossible to figure out exactly when you tried to switch originally. Other than that, any time I've had an issue the TSheets customer service team is exceptionally good and fast at helping me fix the problem or find a solution. As a matter of fact, I just had Jen D help me solve an issue faster than it took me to explain my issue to her! Already using product and I have been happy with the results. I see great potential as my company grows, using TSheets! My chat requests are always answered quickly and answers are thorough! Overall user-friendliness and employee base survey resulted in the conclusion that it is NOT a good fit for our employee base. When viewing in depth other vendors, the time keeping features are lightyears ahead of ADP Enterprise eTIME. Prior to using TSheets, our employees were writing physical work logs on paper, which then had to be delivered to me so that I could then transcribe all the information onto an excel spreadsheet. It was a tedious and ineffective process. When we started looking for software we had no idea what we needed as we had never used any comparable programs in the past. We came across TSheets and compared it to some of the other options at the time. The reviews for TSheets were exceptional, and the description was exactly what I was looking for. I guess I got lucky on the first shot. Positive - by having employees/students record hours worked on a daily basis we now have accurate information and no duplication. I was able to reduce my time spent working on time tracking and payroll from +/- 5 hrs/week down to less than one hour. I have also had multiple circumstances where I had to look into past work history. TSheets makes looking up anything in the past a breeze, searchable through date(s), employee(s), location(s), etc. 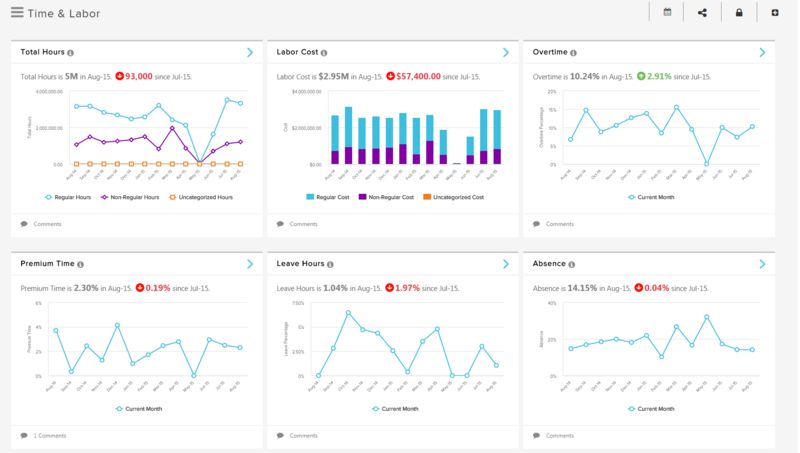 Analytics dashboard provide insights into important time and attendance data that can help you get a handle on your greatest controllable expense - labor costs. 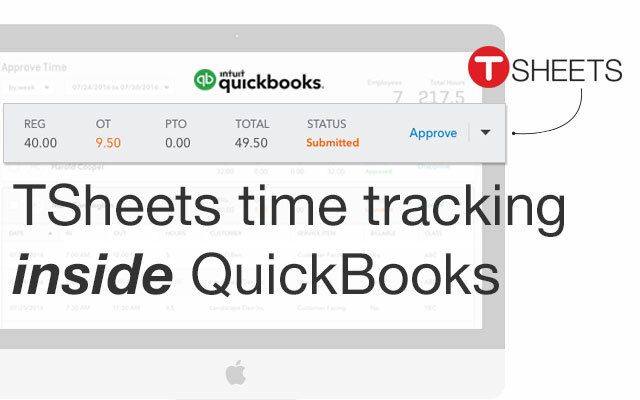 TSheets is the only time tracking app embedded inside QuickBooks. You can easily review and approve employee time cards to run payroll, do job costing, or create invoices--without ever leaving QuickBooks! Pricing is based on a per employee model. Billing is monthly, based on a subscription model.